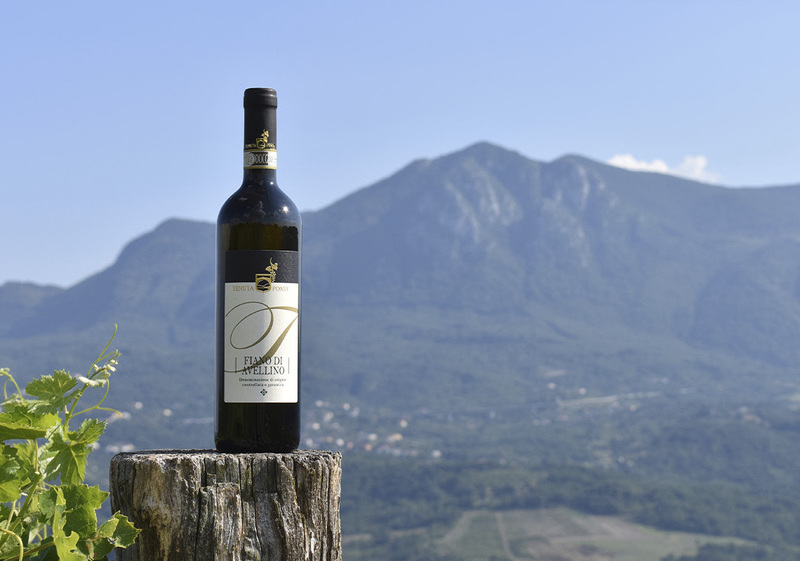 From the grape vine apicia, one of the ancient ones “aminee” Mediterranean, of remote origin Aegean-anatolian, it comes down the Fiano of Avellino, quoted by Plinio and Columella and favorite from Fred II of Swabia and from Roberto D’Angiò. The process of wine-making is that typical of the white wines of merit, of the very delicate kind, that require cares and particular equipments. The Tenuta Ponte makes the grapes in purity, according to traditional tecniques. Of lowest return, but of rare quality, the vine Fiano give origin to a wine of pale yellow color, faded, with the pleasant and light odor, from the fresh, slim, dry and harmonic taste, with aftertaste of toasted filberts. With a minimum alcoholic volume of 13%, served to the temperature of 10° C, well it is accompanied to fish courses or to white meats.